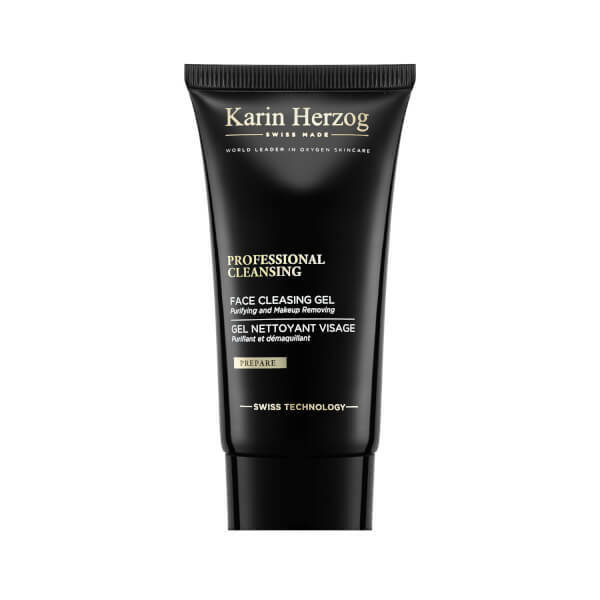 Experience the unrivalled effects of Karin Herzog's Professional Cleansing, a cleansing gel that performs a vacuum like effect to expertly draw away dirt, sebum and impurities from the skin. Enriched with a host of nourishing essential oils, including Rose, Geranium and Glycerine, the gentle, waxy formula nourishes and hydrates whilst eliminating dirt and makeup (including waterproof eye makeup) without irritating or upsetting the skin's natural pH balance. Working to decongest skin and eliminate grime from pores, the best-selling cleansing gel leaves skin feeling fresh, bright and radiant. 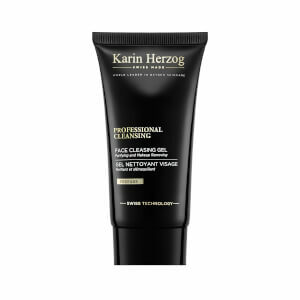 Petrolatum, Paraffinum liquidum, Glycerin, Cetyl alcohol, Polysorbate 80, Salicylic acid, Parfum.